Favorable winds are blowing in regard to the hope of curing sick genes. In 2015, the new genome editing technology known as CRISPR finally emerged into the public spotlight. This innovation, which was launched three years ago, has become the main current breakthrough due to its recent development and progressive improvements. The new year brought the publication in Nature of a technique refinement which nearly eliminates all errors. CRISPR has already demonstrated that it can cure the causative gene for muscular dystrophy in mice, but its possible application to human embryos has sparked an ethical debate that was formalized last December by means of a major international meeting of experts. Throughout 2016, the discussion is expected to lead to a consensual agreement regarding the ethical boundaries of this technology. But while CRISPR continues to flourish, other more established genetic techniques are already reaching the therapeutic field. This year, the Californian company Sangamo BioSciences is starting the first live genome editing clinical trial, that is, the correction of defective genes (in this case, the factor responsible for Haemophilia B) directly inside patients’ cells. Sangamo has already successfully tested its HIV treatment technology live, that is to say, modifying cultured cells which are then transfused to the patient. The same company, in collaboration with Biogen —another US company—, is also planning to launch clinical trials for the treatment of two other blood disorders, Sickle cell disease and Beta-thalassemia. 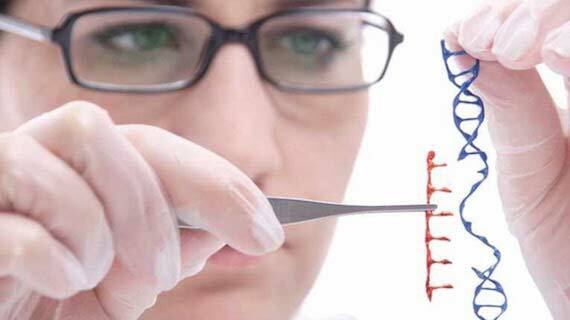 The first live tests with CRISPR may be conducted in 2017. In the field of physics, preliminary results from the Large Hadron Collider (LHC) —announced last December— have left scientists on edge due to the possible discovery of a particle that could be a new boson, six times heavier than the Higgs boson and whose weight is four times that of the most massive particle known today, the top quark. The announcement has already inspired the development of hundreds of studies which speculate on the possible meaning of this data. 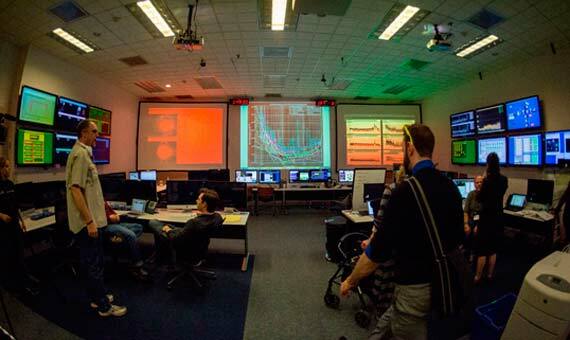 Although those responsible for the LHC remarked that the results do not yet have sufficient statistical backing as to ensure a discovery, the evidence is encouraging since the same hump appeared in the ATLAS and CMS graphs, two different experiments which were carried out at the LHC. In March, data gathering will resume with the main objective of clarifying this mystery. The physics coming from other large facilities will also be in the news this year. The Advanced LIGO experiment -led by Caltech and MIT- could provide the first proof of the –thus far- elusive gravitational waves. Meanwhile, China plans to complete the construction of what will become the largest radio telescope in the world. With its half-kilometer diameter, FAST will dwarf the 305 meters –belonging to the Arecibo telescope in Puerto Rico- which until now held the mark. Another big project starting its operation this year —and which has special political significance— is that of the SESAME synchrotron located in Jordan, a collaboration among nine Middle East countries, including traditional enemies such as Israel and Palestine. The accelerator’s applications will range from biomedicine to archeology, a contribution that aims to promote science in these emerging countries. There are also initiatives breaking new scientific ground in space, being carried out by countries which are not among the traditional powers. China is no novice in space exploration, but until now its missions have focused on technological rather than scientific objectives. Last December, the launch of the DAMPE Dark Matter Observatory kickstarted the Chinese space program’s new scientific approach. This year, two more missions will follow: the first Quantum Communications Satellite and an X-ray Observatory. Recreation LightSail spacecraft. Credit: Josh Spradling / The Planetary SocietyBut the Earth and its immediate surroundings will not be the only focus of interest. The year 2016 will bring along the first full rehearsal of a promising new space propulsion technology that requires no fuel. 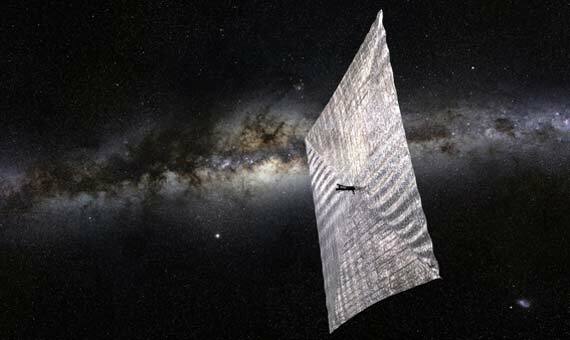 LightSail-1 will be the first space sailing vessel powered exclusively by the photon stream emitted by the Sun. The Planetary Society —a non-profit organization— is promoting the project, which will use a SpaceX rocket for its launch. The device is the size of a bread loaf, but once its four sails are deployed —up to an area of 32 square meters— it will be visible from Earth. And towards a more distant horizon, the European Space Agency (ESA) and Russia will launch in March the first of their ExoMars Martian missions, which consist of a small landing module called Schiaparelli and the orbiter named Trace Gas Orbiter. The latter will mainly focus on studying the presence of atmospheric methane, a gas which could reveal the existence of a possible biological source. On the other hand, the ESA will end its successful Rosetta mission, which has researched the 67P/Churyumov-Gerasimenko comet. In September the space probe will be destroyed by crashing against the comet itself. NASA in turn has two major milestones planned for 2016. The first is their Juno mission, sent into space in 2011 and which will become in July the second in history —after Galileo in 1995— to orbit Jupiter. Juno will also become the farthest space probe to work exclusively with solar power without relying on nuclear fuel. Finally, the US space agency will in September launch the OSIRIS-REx mission, devised to visit the 101955 Bennu asteroid and bring samples back to Earth. The results will not be immediate, as the capsule is expected to arrive back with the material in 2023.